Food was great! Delivery time was a bit long, but overall we are satisfied. Ordering was very fast. Flavor was ok. It wasn’t great. Just ok. I finding most restaurants around here do t like to season or use flavors in their food. All the food we have ever gotten from here was amazing!! Highly recommend!! First time here. The food was good. Really like that you can choose you protein, type of rice etc. Never had these choices before and its really helpful because some of my family are vegan or vegetarian and some eat meat. Really apprecia the different selections. The food was real when we got there to pick up. Service was good and the atmosphere was very nice. Also liked the space for suggestions. We like our gravy separate and the egg foo young crispy. Everything was as ordered.Only problem was our GPS didn't tell us WE ARRIVED at the restaurant. Everything was amazing! Salt & Pepper chicken is a new favorite and traveled well. Always amazing! Great food, fast delivery! Love that they package each entree individually w/eating utensils and condiments. The food was ok. Moo Shi tasted burnt. Ordering was simple. Sadly, we waited roughly 1 1/2 hours for the food on a Tuesday night. So, the food wasn't warm and we were hangry by the time the driver arrived. I'll try them again. Hopefully it's faster. Tom Ka KAI - chicken in coconut milk soup - was absolutely delicious. I called it in and it was ready when I got there and still very hot when I got back to my office on National Business Parkway. Can't ask for anything more than that. the food is great! and with more meat than the noodle! how wonderful is that? The spring rolls were crisp and tasty. The wonton soup was savory without being salty. The cooked rolls - amazing spider roll and shrimp tempura were good and competitively priced. Great service and timely delivery. I will order again. Thank you! The food is delicious. The only issue is that they called someone else's desk in the building when it arrived despite my giving them my extension in the meal notes. Fortunately, I know that person otherwise, my meal might have been delivered to and eaten by someone else. Fresh sashimi, delicious sushi and fabulous Pho! Great! But I ordered Squid Sashimi and received a Squid Salad instead. Love this place, they deliver fast. The food is amazing. They have a little of everything. Highly recommend. 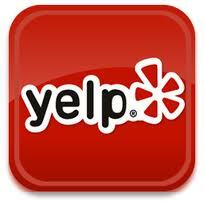 Their service is always great and the staff is friendly. Food was delicious! Outstanding as always, I've been eating here for years and never been disappointed My food arrived at the door nice and hot, delivered by a very professional gentleman, Absolutely no issues. Took a little longer than usual because it was Sunday but food was DELICIOUS as usual. The orders that were right were good. But one item was sent incorrectly and one item was missing entirely. A call to the store got replacements sent out, but it took nearly an hour for one member of our group to actually have dinner to eat. Always a great ah s@&$ last minute gotta still eat, not cooking, something kids will eat, and the elderly kids also. The menu is almost too big as deciding on a choice we’ll looking through page after page and everything sounds good. Never disappointed and a GREAT go to. Outstanding yummy food, fast delivery, and very friendly staff!!! A little over an hour but still delicious. The food was hot and the chicken was tender. Got here much sooner than I expected! Delicious as always and the portions were well worth the price! Har Gau was really satisfying and the Kappa roll was perfect. One of my favorite meals to get. Squid Lo Mein was perfect. The food is consistently good, which I love. Sadly every single time I’ve ordered for delivery, my food is always late. It should not take over an hour for a few rolls of sushi and delivery. Sad. They have the best fried rice I have even had. Very nicely prepared. Tasty and fresh! I'm writing this review because I'm ordering again. I loved the Fu Pei Gren! We ordered some lunch yesterday and it was absolutely delicious! Huge portions, hot food, and great service! Total wait time from ordering to having the food delivered was 40 minutes! For a very popular chinese restaurant, that's amazing!! We had the food delivered. It was hot and tasted divine!! 1st time I had their Shrimp toast, I will reorder those again. A little on the pricier side, but you can’t beat the quality in this area. Great delivery drivers who earn their tips with some of the best hospitality I have witnessed in my 3 years here. Quick service but the food was a little lukewarm by the time it was delivered. Suspect that may be due to traffic delays at the front gate? The food was good. My only problem was I Ordered Shrimp Chow Mein and got something totally different. It was 6 pieces of shrimp in a container full of clear slime.